Hello everyone! Welcome to the Sequel to The Plague! 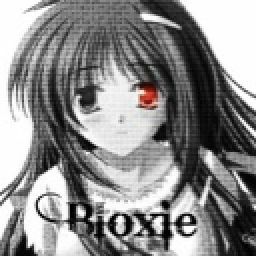 If you haven&apos;t read it, please go check it out! Now, enough rambling, on with the story! Connor sat at the edge of his brother&apos;s hospital bed, watching his chest rise and fall slowly. Nobody knows what had happened to him, his brother or his brother&apos;s friends. The only information gained was that Connor was the first in and first out of this coma like state. The reporters had scared him when he woke, dazed and confused. All he knew was one moment, he was in Minecraftia, getting eaten alive by slow ones, the next he was being bombarded with questions and camera flashes. His parents were able to push the reporters away and the doctors cleared him to go home after a few tests, but the second he remembered his brother, he ran to his hospital room. Now, he sat at his bedside, his head on the backs of his hands as he watched Mitch breathe. "Connor honey, we need to go get something to eat. Do you-"
"I&apos;m not hungry." Connor muttered, cutting off his mother. She sighed. "Alrighty then. Call a doctor if you need anything." Connor nodded as his mum kissed his forehead, before she walked out the door with her husband. Up. Down. Up. Down. Up. Suddenly, Mitch&apos;s breathing hitched and his eyes flew open. He shot up, gasping for breath, and grabbed his shoulder. "Mitch!" Connor exclaimed, wrapping his arms around his older brother&apos;s shoulders. "C-Connor?" Mitch whispered, pulling his brother away and staring at him. Connor smiled and nodded vigorously. "You&apos;re alive!" Mitch gaped, pulling his brother back into a tight embrace. Connor&apos;s smile grew as he nodded into Mitch&apos;s chest. "B-But I thought you- and the slow ones- then hero-"
"Mitch, we&apos;re not in Minecraftia anymore. Look around." Connor whispered. Mitch looked around the small hospital room just like his brother instructed and laughed with relief. "It was all a dream. All the pain, the dead scenery-" he froze. "Quirren and Devin..." Connor added softly, catching on with his train of thought. Mitch sighed and ruffled Connor&apos;s hair, releasing him. "So how&apos;d you wake up? Did you die too?" Connor whispered. Mitch nodded, his eyes filling with grief. "Adam&apos;s alter killed me..."
"He was possessed by something. That&apos;s all." "Ooooooh. So it wasn&apos;t the actual Adam?" Mitch smiled. "No, the real Adam wouldn&apos;t do that. Where&apos;s mum and dad?" "They just left to get some dinner. Should I tell the doctor you&apos;re up?" "Sure kiddo." Mitch yawned, leaning back against the pillows. Connor smiled and ran out the door, leaving Mitch to the silence of his room, excluding the heart monitor&apos;s constant beeping. Mitch looked over at the bedside table and grabbed his cell phone. When he turned it on, he saw thousands of twitter, Instagram and YouTube notifications on his lock screen, all asking him where he was. He sighed and placed it back on the table, just as a doctor walked in with a grinning Connor behind him. The doctor ran a few tests, then cleared Mitch to roam freely. The first thing Mitch did after he was cleared was hug his unsuspecting parents as they walked into the room. 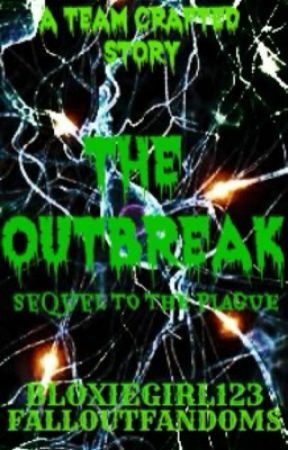 The new beginning chapter in The Outbreak. What&apos;d y&apos;all think? Good so far? I brought Connor back! Woo! Now, to formally hand Fallout the pen? Or throw it across the room while she&apos;s not looking?